Saveur French restaurant chain has four locations in Singapore, including Saveur Art at ION Orchard, 2 Orchard Turn. 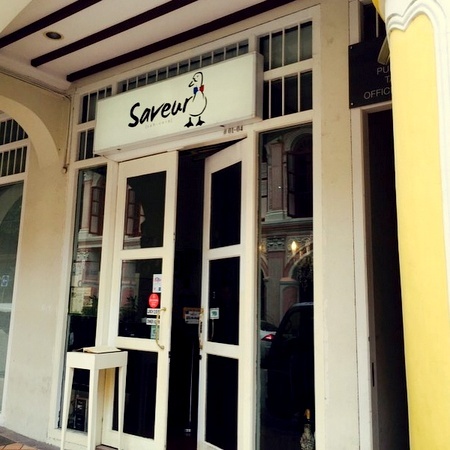 Established by Joshua Khoo and Dylan Ong in 2011, Saveur offers high quality French fare at affordable prices. The restaurant makes its own interpretations of modern French cuisine using local ingredients, offering a whole new gastronomic experience to all diners in Singapore. Of the restaurants, Saveur Art at ION Orchard is a concept one step towards French fine dining, where an extensive amount of time goes to research for curating the right ingredients and assembling truly exceptional French dishes that combine perfect, balanced combinations of flavors, textures, and aesthetics. At Saveur Art ION Orchard, you can complement your French culinary adventure from the restaurant’s curated selection of premium quality French wines (red, white, sparkling). Saveur Singapore has an official Facebook page available, located at www.facebook.com/saveursingapore (also, Saveur Art has its own Facebook page, at www.facebook.com/saveurart). The Facebook page is a great resource of information about the restaurants’ new menu items, seasonal dishes, events, promotions, and much more.